Taiwan’s economic growth over the latter half of the 20th century is nothing short of miraculous. 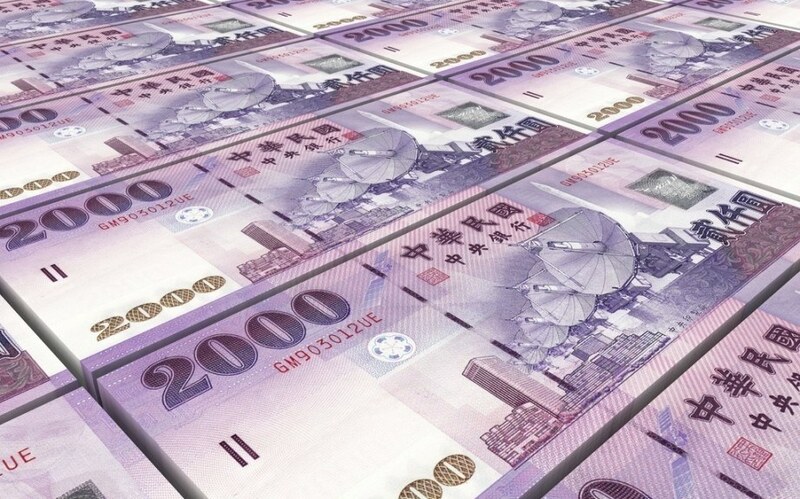 The New Taiwan dollar has grown with the economy. As one of the ‘Four Asian Tigers’ the country transformed from a developing country into one of the globes most competitive and healthy economies. Note that the New Taiwan dollar is only very rarely referred to by its full name. In common useage the term yuan is usually used, unless there is risk of ambiguity. Anyways, hyperinflation had ravaged the old currency as a result of the Chinese Civil War. After the communist victory the Chinese government had fled to Taiwan, and issued the New Taiwan dollar. 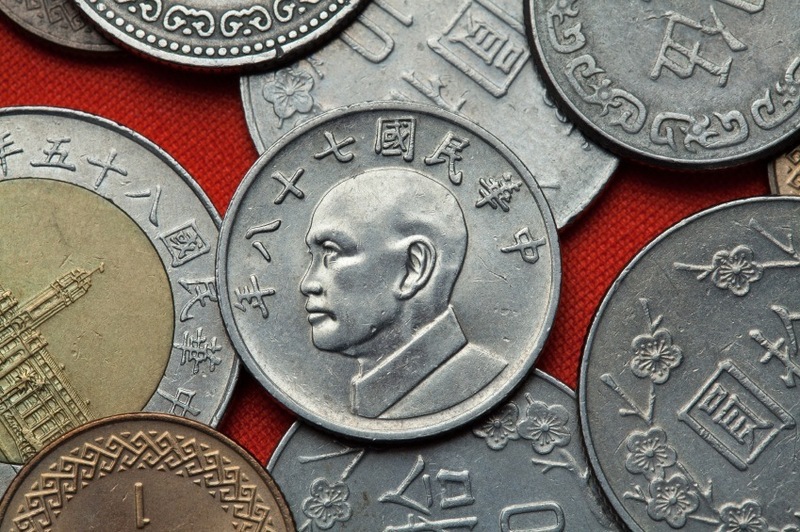 Despite the introduction of the new currency the old silver yuan remained the official currency and was used in legal circumstances, particularly by-laws and statutes. One Taiwan dollar was equal in value to 3 silver yuans. It wasn’t until 2000 that the New Taiwan dollar officially became Taiwan’s legal currency. The latest series of coins were released in 2008 although the 1, 5, and 10 satang coins are rarely see in circulation. 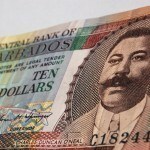 The latest series of banknotes began circulating in 2000. In the mid-50’s the New Taiwan dollar was worth 10 to 1 USD, while a decade later it was around 40 to 1 USD, and 25 to 1 USD in 1992. 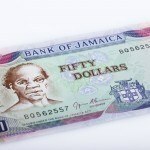 As of November 2015 the exchange rate is around 30 to 1 USD. Taiwan’s massive growth in the second half of the 20th century has been lauded as the “Taiwan Miracle” and alongside Hong Kong, South Korea and Singapore is considered one of the ‘Four Asian Tigers’ (highly developed, free market economies in East/Southeast Asia). In 1962 the country’s GDP per capita was $170 – on par with Zaire and Congo, but in 2011 this figure grew to $37 000. Growth has averaged around 8% over the last 3 decades. Modern Taiwan has a dynamic market economy. Agriculture makes up just 5% of GDP, with industry at 36.1% and services 58.9%. Taiwan’s high tech manufacturing sector and well educated workforce have the country poised for a bright future, despite space being at a premium and little to no natural resources. Growing business and cooperation with the Chinese mainland will also boost the country’s future economic prospects. Taiwan’s economic miracle serves as an example to developing countries around the world and it will continue to be an important economic hub in the region and the world for years to come. Order New Taiwan dollars with FXtoGO! Whether you need to buy New Tawain dollars or one of many other currencies, we’ve got you covered with FXtoGO! You can also track the exchange rate of your favourite currency with Rate Watch. For a broader understanding of Taiwanese history and culture check out our Country of the Week profile. For information about traveling to Taiwan then be sure to follow our Travel Guide.